UNIQUE CHALLENGES. WORLD CLASS TEAM. Brodie founded Medical Edge Australia after observing a need for high quality first aid and medical services through both the event, industrial and NEPT sector. Brodie has over 8 years experience working as a Paramedic for government emergency medical services and maintains a high clinical focus. 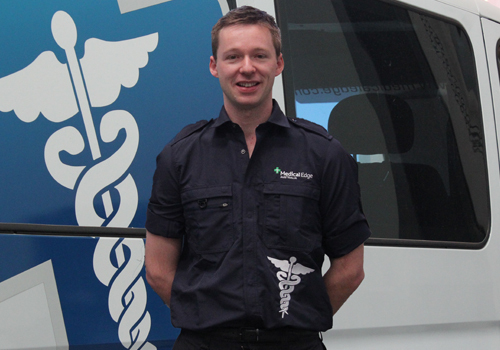 Corey’s role within Medical Edge is to ensure the organisation operates at the forefront of computer innovation and efficiency. His background in Information Technology, Healthcare and Business has resulted in Medical Edge being able to provide unique IT solutions to meet any client need. 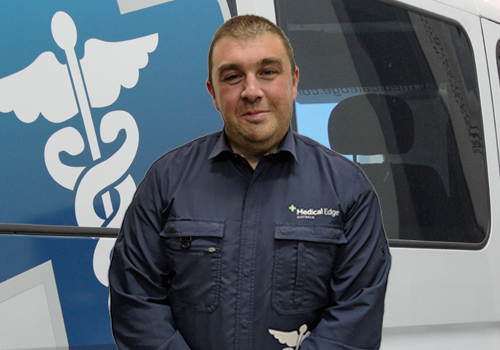 Corey continues to work in all areas of Medical Edge, including Events, Patient Transport and Training in order to ensure the organisation continues to provide world class services to all clients. Anelisa is an experienced physician with qualifications in emergency medicine and general practice. Anelisa provides medical oversight for Medical Edge Australia’s clinical operations Australia-wide to ensure current best practice. This includes engaging with state government departments to push the industry towards a more patient centred approach. 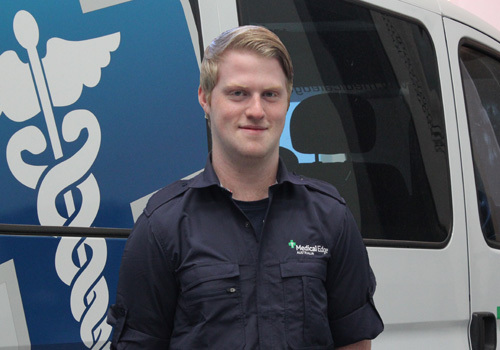 Jade has a long extensive history of working in emergency services as an Ambulance Paramedic in Victoria. Throughout her career, Jade has learnt a range of skills in stress management and maintaining a positive balance between work and well-being. 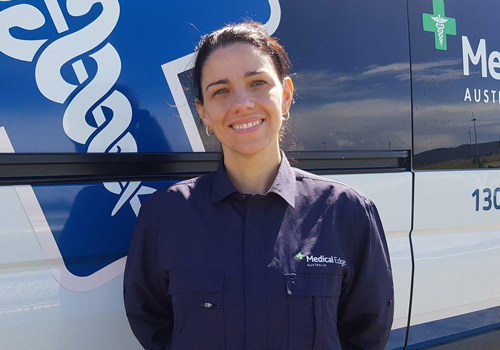 It is this combination of skills that lend to Jade’s bubbly and compassionate persona that provides Medical Edge Australia with effective staff well being services. Patrick is one of Medical Edge Australia’s longest standing employees and brings a wealth of knowledge to the organisation through various territory qualifications and experience. Patrick monitors and adjusts Medical Edge Australia from a risk management perspective, ensuring adequate controls in an often-dynamic environment. The role also includes incident review and investigation. Medical Edge Australia has 10 core values. These values set the standard as to how and who we show up as every day and were created by observing our finest employees.